Cool Things Compliments of The Philippines! 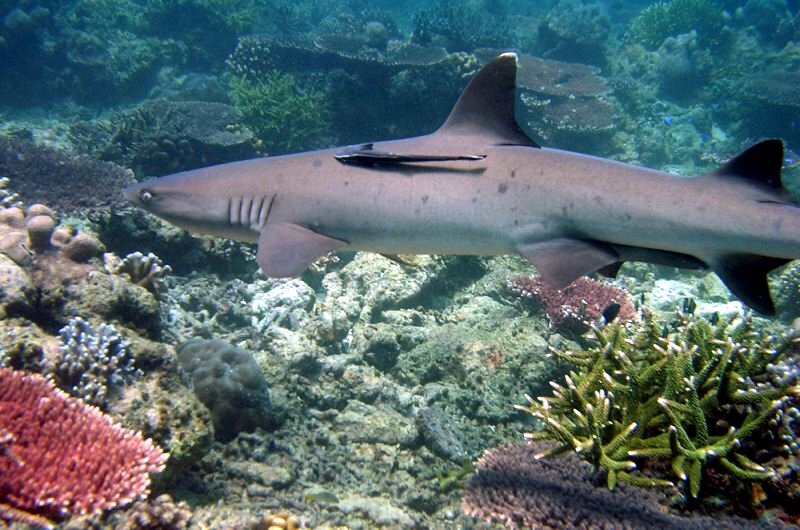 This archipelago on the Southeast portion of Asia, composed of more than 7000 islands is known for a lot of things, such as the world renowned Tubbataha Reef, the tasty dish adobo, the poker game with a twist called pusoy, and the most popular is the picturesque waters of Boracay. 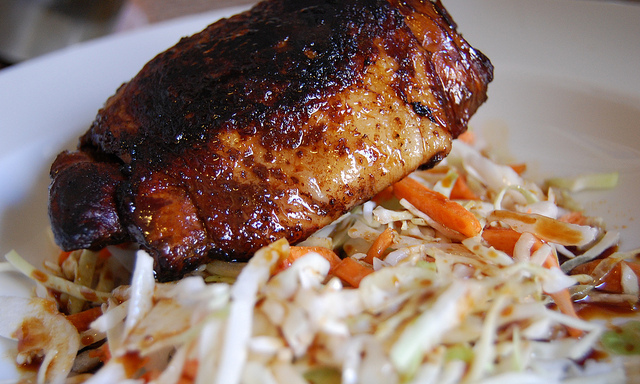 The delicious dish adobo, on the other hand, is unique because the marinade (of garlic and vinegar) used in the meat will also serve as its sauce. It’s quite an easy dish to make; you even have the option of using pork, chicken, or tofu. Marinate your choice of meat for about a couple of hours. Heat some oil in a saucepan, then cook the garlic (from your marinade) on it until brown. Stir-fry the meat, and after that add the rest of the marinade and some bay leaf. Let it simmer for a few minutes, then serve with steamed rice. Meanwhile, the Filipinos are known as a creative bunch—so creative, in fact, that they managed to twist the traditional poker game into a variant called pusoy. Sure, we’re used to the customary poker weekend, or participating in online tournament, so maybe after learning the rudiments of this local card game we can squeeze in a round or two of it just to deviate and avoid boredom. So, how is this played? BicycleCards tells us the basics. 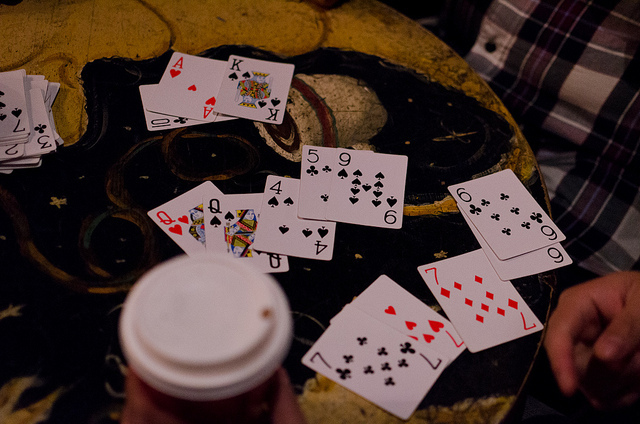 The goal is to get two or three winning hands out of the dealt thirteen cards. “To win the bet, two out of three of a player’s hands must beat the three hands of the dealer. If all three hands beat the dealer’s three hands, the player wins double the bet. If only one hand wins, the player loses the bet. If all three hands lose to the dealer, the player loses double the bet,” as provided by BicycleCards.com. 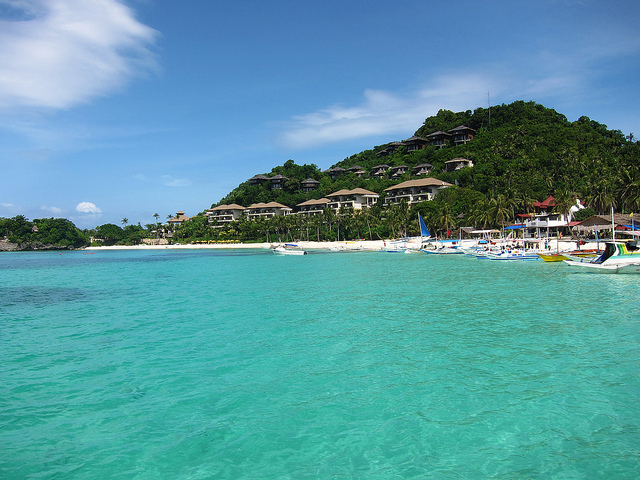 Boracay is an island in The Philippines that TripAdvisor.com advocated in this way: “As long as you visit during dry season, you’ll agree this is one of the best beach destinations in the world.” By day, the island is the perfect paradise for your getaway—pristine seas, white powdery sands and friendly locals. When night falls, Boracay is the ultimate party place; you can dance or listen to acoustic music all evening. 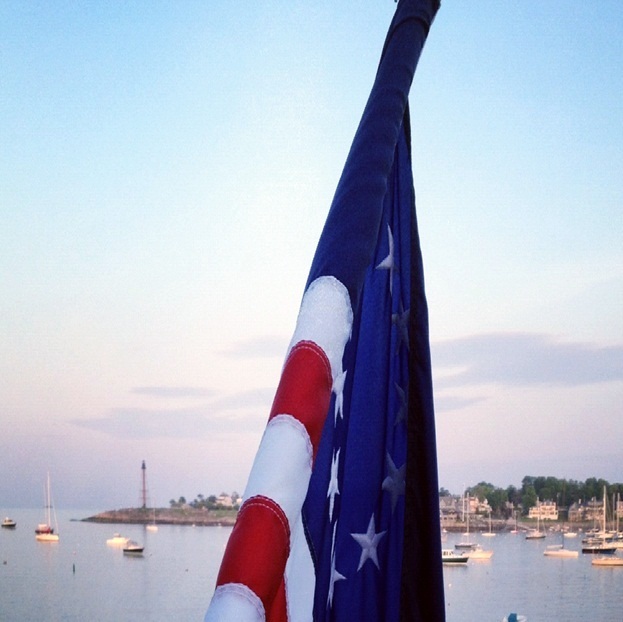 One holiday spent here is never enough. “The City of Brotherly Love”, the pride and joy of Rocky Balboa, the 5th largest city in the United States, and the heavenly site of my birth, Philadelphia! Philly, as it is more commonly known, is one of the oldest cities in the country and has more cool stuff to check out than any long weekend can offer. You’ve been waiting for it, I’ve been slacking on it, but now, it’s time. Here’s the Philadelphia Travel Guide! The first Europeans to stake claim on the Delaware Valley where Philadelphia is located, were the Swedish believe it or not in the early 1600’s. It remained under their control until the 1680’s when William Penn was awarded the territory of Pennsylvania (Pennsylvania stands for Penn’s woods) by King Charles the II of England in 1681. Penn, who decided to leave England because of religious persecution, established the Pennsylvania territory as a place for people to practice whatever religion they chose freely, a truly progressive idea for the time. Philadelphia was the location of the signing of the Declaration of Independence and served as the nation’s capital from 1790 until 1800 while Washington D.C. was under construction. Today, Philadelphia has expanded to be the 5th largest city in the country with a population of over 1.5 million people. 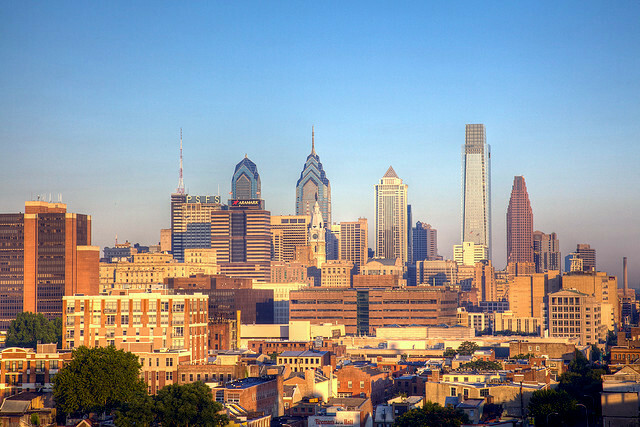 Philadelphia sprawls over a large land area, but it also has one of the biggest downtowns in the USA. That being said, you will most likely opt to stay in downtown, known as Center City. This core has many different neighborhoods and is generally accepted as being from the Delaware River to the Schuylkill River (pronounced SKook-ill) and from South Street to Fairmount Avenue. Some nice areas to stay are in Rittenhouse Square, Washington Square, Olde City, Fairmount and Fittler Square, all of which offer good dining options, nightlife and walking distance to the lion share of the city’s best museums and attractions. If museums are your thing, and even if they aren’t, there are some must-sees in Philadelphia. Firstly, the Philadelphia Museum of Art is famous in its own right. The iconic neo-classical façade looks like a massive Greek temple, and it overlooks the city from its perch atop a small hill in an acropolistic fashion. It is affectionately known as the “Parthenon on the Parkway” and its steps are world famous for the scene in Rocky where he runs up and thrusts his hands up in pride. The Philadelphia Museum of Art is one of the largest museums in the country and has countless works from modern masterpieces to ancient treasures. Don’t forget to check out the amazing collection of arms and armor. The Franklin Institute is another museum in Philadelphia, and probably the best science museum in the country. It is dedicated to none other than Ben Franklin himself and guards some of his most interesting inventions, huge exhibits on trains, planes, medical advancements and space. There is a one-of-a-kind spherical IMAX theater that plays science related movies, as well as Hollywood blockbusters. The planetarium does laser light shows to soundtracks on the weekends for such bands as Pink Floyd, Metallica and Radiohead just to name a few. Eastern State Penitentiary is one of the coolest things to see in Philadelphia! 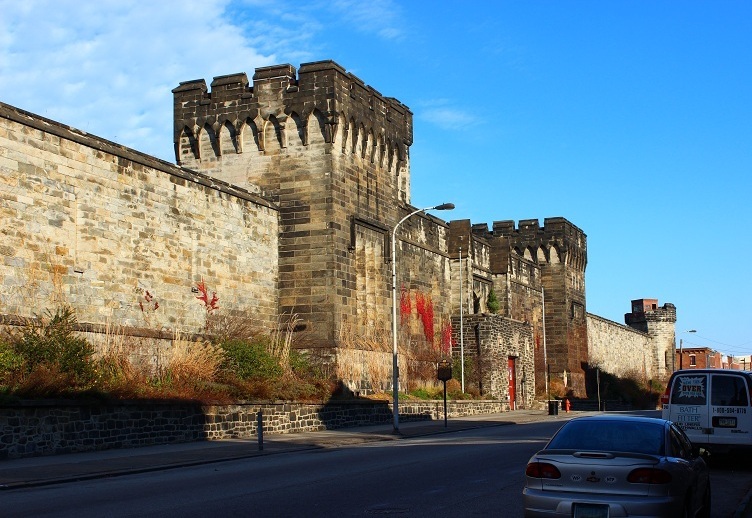 Located in Fairmount, Eastern State looks like a medieval castle plopped into the middle of a city. It was an operational jail from 1829 until 1971 and one of the first of its kind where reform was focused on instead of punishment (even though it looks like people were tortured there from the outside!). Famous inmates included Al Capone and Willie Sutton. You can take a tour seven days a week, from 10 am to 5 PM. 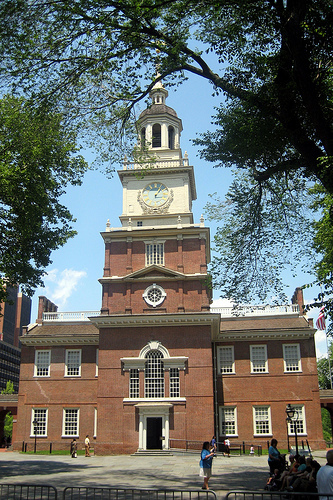 Located just west of Olde City, Independence Mall is home to Independence Hall (where the Declaration of Independence was signed), the Visitor’s Center, Constitution Center and the Liberty Bell. Basically everything you could possibly want to learn about the founding of the United States with the artifacts to go along with it! Located at 10th and South Street, the Philadelphia Magic Gardens are amazing; three urban plots completely covered in mosaic glass and other interesting thingamajiggers. They are the work of Isaiah Zagar and what started as just a personal project is now a gallery, museum and outdoor labyrinth where you can wander around and marvel at the mosaics. They are made from everything from classic tiles and glass to old bike wheels and other urban relics. Well this one is basically a no brainer, obviously when in Philadelphia, you have to eat a Cheese steak! You’ll hear a lot about two places, Geno’s and Pat’s which are in South Philly, but don’t waste your time or money. 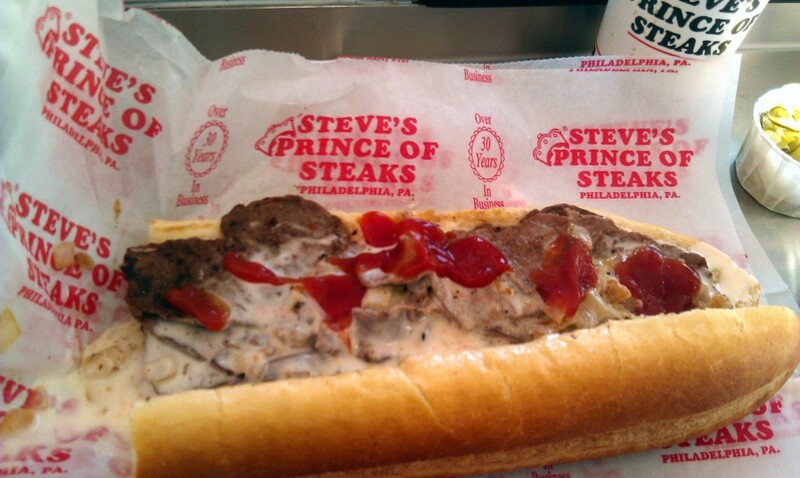 The best cheese steak in Philadelphia is Steve’s Prince of Steaks, which lucky for you, just opened a new location at 16th and Chestnut right in the heart of downtown. After you’ve sampled a cheese steak you are free to enjoy the rest of the burgeoning food scene in Philadelphia, one that’s been getting a lot of international attention. 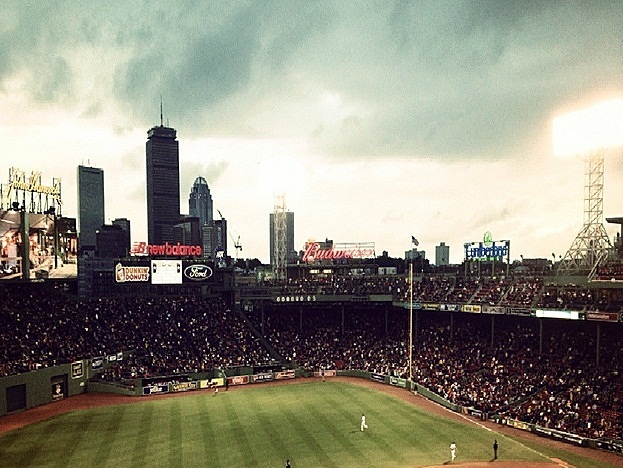 There are a wealth of amazing places to enjoy, with a high concentration of them in downtown. For breakfast/brunch, don’t miss Honey’s Sit and Eat in the Northern Liberties section. This place has an awesome brunch and ambiance that will leave you feeling almost as hip as the hipsters running it. You can find it at 800 N 4th St. Another hipsterific place to grab a coffee and the best fresh donuts you’ll ever have is Federal donuts at 1632 Sansom St.
For lunch, you have to go to Reading Terminal Market. Located right in downtown at 12th and Arch. This is the farmers market that other farmers markets strive to be. Encompassing an entire city block, Reading Terminal Market has amazing, fresh made-to-order food at countless stalls. There are also multiple stalls run by true Pennsylvania Dutch (Amish) who come in and sell their meats, breads and sweets. You could honestly eat every single meal here for a month and never grub at the same place twice, nor have a bad meal. Philly has some pretty solid nightlife and there is no shortage of watering holes. Some of the best bars with great cocktails are Franklin Mortgage, Butcher Singer and The Ranstead Room. For great all around bars, head to Time, Fado, McGillin’s (oldest bar in Philadelphia) Ladder 15 and Buffalo Billiards. If you’re looking to cut a little rug, then Philly has some clubs to get your booty grooving including Lit Ultra Bar, Whisper and Z Bar. Philadelphia is really a great place to spend a few days and is very stress-free to get to. The Philadelphia International Airport is easy to navigate, has flights from virtually everywhere, and is served by both public buses and a train that goes directly downtown. Philadelphia is also only 2 hours south of New York City by bus (faster on the train) and 3 hours north of Washington D.C. making it the perfect place to base explorations into the mid-Atlantic region or northeast. I hope my Philadelphia Travel Guide was useful to you and that it makes your next trip to the City of Brotherly Love a memorable one!